Offering you a complete choice of products which include bondtite white paste and anabond thread locker. 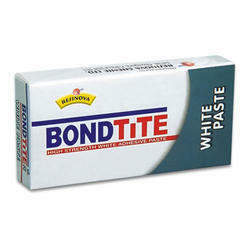 Our organization is very well known in offering Bondtite Adhesives to our clients. These products are highly demanded for their long shelf life, excellent adhesive property and other such attributes. These are used for pasting purposes and are free from all types of impure stuffs. Our range is quite affordable and these are offered to our clients in different packaging material which comprises of boxes and tubes as well as pouches. 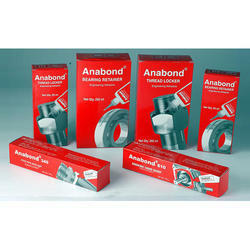 Our organization is highly rated in offering Anabond Adhesives to our clients. These are known for their high bonding strength, excellent adhesive property and unique formulation. Offered range is available in excellent quality tubes or boxes and these are able to retain their adhesiveness for long time period. Other than this, we ensure timely delivery of these to our clients.